A 17 year old British lad writing about all things socio-political and beyond. 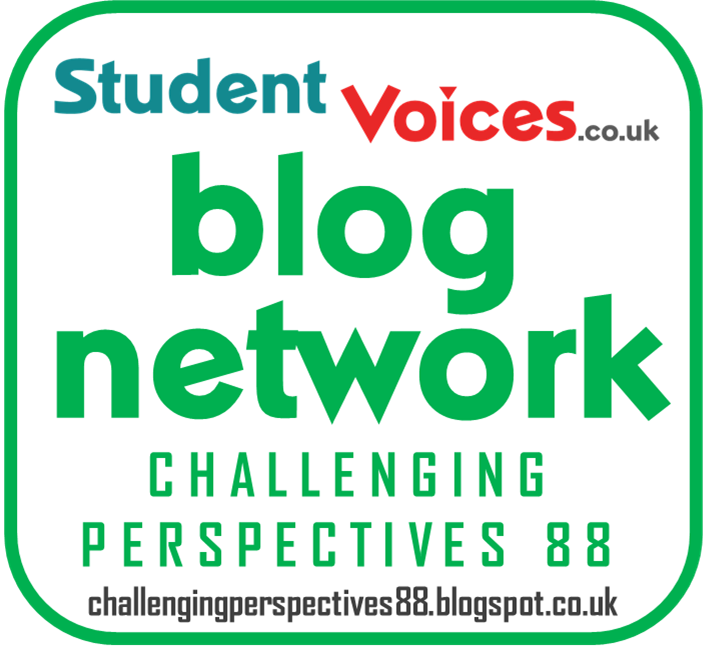 This blog contains a range of articles on a variety of social and political matters relevant to generation Y; I write many of these with the simple attitude of challenging the status quo through optimism and self-belief. I hope to provide an alternative and progressive insight into issues that many would otherwise view as the norm. Hi everyone, I just wanted to talk to you a little bit about my post-election thoughts and what I think we could expect from the future. I suppose my first thoughts when I woke up at 6am this morning were – okay well it looks like we’ve got another 5 years of an oppressive, austerity driven tory government, no matter what shape or form, and that is obviously a very disheartening and frustrating thing. There’s no doubt that we’re really going to have to fight against another 5 years of social injustice and dishonest politics from the the torys. We’re likely to face some tough times ahead. But I was also quickly filled by a massive sense of achievement, and overwhelming hope. Despite all the odds – having had the press, the establishment, and even some of his own MP’s obsessed with disrupting his dignified and passionate vision…from start to finish, this man, Jeremy Corbyn, has shown the country…shown the world…that people power CAN change things through simple messages, united causes and simple human dignity. And that our country has a clear appetite for democratic socialism. This maverick of a leader, with the whole establishment against him has secured 261 seats, more than his past 3 predecessors and has halted a tory majority. This maverick of a leader is the first anti-establishment, left-wing leader in our political history to disrupt our toxic political status-quo in such a way. Moreover, there’s no doubting the fact he has played a massive part in engaging the largest amount of young voters in our political history – an astonishing 70% of 18-30 year olds – the majority of whom voted Labour. In short, this man has done something SO many deemed unimaginable. For a country that has been asking for change and real representation for decades we have shown a clear message that, for a huge amount of us, doing things in this way, could be the answer. So I suppose the big question now is – what next? Well first and foremost…we don’t yet know what will come of the next few days – whether Theresa May will indeed be able to form a weak minority government or whether it could all go copout and we find ourselves back at the polling stations in 6 months’ time. Who knows. But no matter what happens, there is one thing we all must do: we must maintain this fantastic political momentum by truly backing the left starting now onwards. Collectively the anti-tory, anti-austerity progressive alliance we now have in parliament, has the chance to defeat the torys, now more than ever. We have such an important task ahead of us; supporting those who will be working day in day out to fight the unjust and manipulative regime that the torys will try and entrench into our society, once more. So I urge you to not see this result as defeat, continue to speak out, continue to demonstrate, continue to support your Labour representative or whoever else you have voted for, be it through canvassing, debating, blogging or even just retweeting the odd statement. We cannot give up now. We have a serious chance of putting the concerns we have voiced today into fully-fledged action in the not to near future. So do not give up. And I just want to finish by saying a massive thank you to everyone who put such impassioned work into this campaign, to everyone that voted labour, and most of all to Jeremy Corbyn – because he is the person who has, time and time again, who has put everything he has into fighting for this change, against all the odds. As a young, first time voter, I have never be so inspired and motivated to fight for what I believe in, and I’m know so many others feel the same. Hi everyone, my name’s Jamie- I’m a first time voter and I’d like to tell you about why I’ll be using this to Vote for The Labour Party. a lot of people have had one main concern with Labour over the last couple of years, in terms of seeing them as a serious alternative in government, and that is their leader, Jeremy Corbyn. Many people might say he is unstable, lacks basic leadership and simply cannot see him as our prime minister. I actually think one of the main reasons for this, is not because people don’t support his principles- we’ve seen the support for this rise and rise, particularly since the manifesto was launched- but just think about this- have we ever had a genuine anti-establishment, socialist MP with 30 years experience under his or her belt as our prime minister? No we haven’t. So as a society, I believe we are so used to this almost subconscious vision of what a powerful and mightily leader looks like, often evolving around aggression and support from a very tight-nit allied political elite- that I think many of us have yet to stop and think…hang on this man is the man of the people. And surely that is who we want to tackle the huge problems and inequality our society faces right now--- a leader who listens and responds to them, a leader who has been listening and responding throughout his life. This is a man with integrity, this is a man with compassion, a man with principle, a man who is driven by social justice and the vision that we should all be given a free choice to do the fundamental things in our lives, no matter our class or wealth, that makes us feel fulfilled, dignified and happy. Come on - this is one of the first political leaders in our history that offers all of this. I urge you, first and foremost to go out and vote tomorrow- it is your democratic duty. I also urge you to stop and think and reflect before you put that pen to paper- brush all of the scaremongering and the peer pressure aside- simply think about what kind of society you want to live in and what free choices you want in life. Our country’s been in a political bubble over the past half a century or so, as the old order has faded away and society has begun to realise the potential powers a full democracy actually gives them. We’ve started to forcefully disagree with politicians, go on demonstrations, talk to them in our towns and cities, and by and large telling them that collectively…they do not represent those of us who live everyday lives- fighting to get our kids motivated to learn, fighting for a pay rise, fighting for a mortgage, fighting an addiction, fighting to get by in life. So fundamentally…what have we been asking for all this time? We’ve been asking for politicians and leaders who genuinely care about these issues be it through life experience, or just simple human dignity…and that’s why they should go into politics. Sounds obvious doesn’t it? Then why have we continuously failed to get people like this into our parliament? · Education is a fundamental part of building an equal society; over the past 7 years, we have seen it’s budget cut by 10%, we’ve seen hundreds of unqualified teachers in our most venerable communities and the legalisation of grammar schools – a system which only the well-off can realistically afford, university tuition fees rising by a third. How the torys can say labour have gone back to the 1970’s, I do not understand. A Labour government will reverse these cuts, ban the exploitation of unqualified teachers, keep the ban on elitist grammar schools, provide free school lunches for every primary school child, and abolish university tuition fees for all- which DO have a negative effect on the poorest in our society, who are equally as entitled to achieve as the rest of us. This will be achieved by increasing corporation tax rate from the current 19% (one of the lowest in Europe note) to a moderate 26%, and by putting VAT on private school fees (which are currently classed as a charity would you believe). · Healthcare is a fundamental part of maintaining a healthy, productive and happy society; NHS funding has been cut and cut over the past 7 years- the torys come out and say they’re investing more than ever before…this simply isn’t true- they have been manovering money from one department to the other, NOT putting more in. The social care system alone has seen £4.6 million cut, despite a rise in demand. There are currently 1.2 million pensioners deemed as having unadeqeute care in this country and we’re the 5th largest economy in the world. Last year ,the boss of NHS England recommended an extra £12 billion be put into NHS services- the Tory’s manoeuvred £8 billion (a proportion of which was taken from mental health by the way). This has happened to the extent that, as I’m sure you will have heard our health and care services are at breaking point, and is being governed by a man named Jeremy Hunt, who in 2005 said in a book he co-authored, and I quote, “Our ambition should be to break down the barriers between private and public provision, in effect denationalising the provision of health care in Britain.” A Labour government would commit an extra £30 billion of funding over the next five years to the NHS, as well as ring-fencing funds for mental health, make it illegal for excess private profits to be made, increase social care funding by £9billion and ensure access to a free counselling service for all secondary school children. This will be achieved by increasing income tax on the richest 5% and increasing tax on private medical insurance. · Jobs and our economy are fundamental in providing society with the resources in needs to operate all of the things I’ve just talked about and therefore provide decent standards of living. Over the past 7 years under the tory’s, our wages have fallen by 10%, public sector workers like nurses and the police have had their pay frozen for 5 years, and our public debt has increased by £555 billion since 2010. Yet at the same time, large corporations have paid 9% less in tax and the richest 5% have seen their income tax decline by 5%. In short- you and me- the 95%- have seen our wages fall, our working rights squashed and our general standard of living go downhill with it. Do we really want to continue to grow into a low-tax haven for large multi-national corporations, with 1 million people relying on food banks? It might sound extreme, but that is what is happening! A Labour government would invest our infrastructure and services by creating a £250 billion national transformation fund over 10 years, raising corporation tax by 7% and asking the wealthiest 5% in our society to pay 5% more towards the economy. They would ban the use of exploitative zero hour contracts and insure we maintain tariff-free access to the European single market when negotiating Brexit - which so many different sectors rely on – and therefore our jobs rely on. · Finally, when negotiating Brexit, a labour government will protect the rights of EU nationals currently living in the UK to remain here (which I think is the only humane and dignified thing to do), ensure we maintain access to the single market, as I’ve mentioned and most importantly, pioneer, not a low-tax, ruthless economic vision that puts the needs of corporations first, but a fair, equal and tolerant global trading country, that’s puts the needs workers and their communities first. So those are just a few of the policies that I am voting for. Think about what youn want to vote for. I wholeheartedly believe that you should vote Labour tomorrow. Let’s take a step back in time to 1987- the time of ‘the great’ Jordon Belfort (The Wolf of Wall Street)- when a little known concept called the Collateralized Debt Obligation (CDO) was first introduced into the western banking system; in a nutshell a CDO is a collection of mortgages sold to an investment bank, which is the sold on to shareholders such as pensioners and equity investors at various levels of interest, before supplying the mortgages to those who they are really meant for- home owners. So essentially, investment banks were able to manipulate the mortgage market by sharing out their ownership to whoever was willing to invest in them; investment banks were able to manipulate home owners who were largely unaware of the structure of the CDO scheme, leaving them vulnerable to greedy hedge funds and private investors who wanted to make an extra buck off the back of rightful home owners. This was the case as there were little qualifications in place to be able to buy these mortgage shares, leaving the risk of mortgages being poorly funded and insecure. The bankers knew this, but given it would secure them their own profits in the short term, they frankly couldn’t have cared less. Between 2004 and 2008, CDOs were sold in their thousands in the USA and similar ‘sub-prime’ mortgages in the UK, with the majority of shareholders failing to provide efficient funds to keep them stable. Individual investment bankers kept more than their fair share of dividends from them, leaving thousands of households burdened with no funds to secure the ownership of their homes. This corrupt practice would eventually lead to the housing ‘bubble’- a run-up in housing prices fuelled by demand, speculation and the belief that recent history is an infallible forecast of the future. The bubble burst in 2008/09. A shocking, yet rather dull concept isn’t it? And this is exactly why the banks manipulated our disinterest and lack of information, for their own self-interest, eventually leading to the some of the wealthiest in our society profiting from CDOs and the other 98% of us having to move out of our homes or find other means of funding them. Those homeowners effected had little financial security left in their lives and consequently our economies went into melt down, with the average consumer falling victim to the greed and selfishness of the few. This was one of the main causes of the 2008/2009 financial crash. Thankfully, CDOs were banned in industry in 2010. However, just 18 months later in 2011, the CLO (Collateralized Loan Obligation) was established with almost the exact same purpose. So this corrupt practice is still happening today, posing the question, should we be expecting a series of financial crises in just 4 years plus time? Here’s a good video link explaining CDOs. Many investment bankers, particularly in the UK and the USA, who profited from this corrupt scheme got away scot free and continue to live prosperous and privileged lives. Many innocent home owners with families or no family at all, continue to live financially disadvantaged lives. Many were simply thrown out of their homes and given little or no state help, as the practices which had resulted in their positions was not seen as an illegal act, merely an immoral one and therefore the majority of banks and their bankers were not prosecuted for this. Instead, the UK and USA kept the majority of their banks afloat by using our money as tax-payers, to bail them out. Now before we jump to any conclusions, there is arguably a large case for having done this; if governments had allowed the majority of banks to have collapsed this could have led to an even greater scale crash and an even greater effect on you and me in terms of inflation and the security of our own savings and wages. Indeed, in a recent interview with the BBC, Barack Obama admitted that he had “a very tough decision to make” in terms of doing what was fundamentally immoral or what was fundamentally the right thing to do in the financial context. However, there is an example out there of an economy who did let all of their major banks fail and brought all of guilty bankers to justice, many of whom were actually imprisoned. Their economy is now thriving and their people are some of the most financially equal in the western world. This economy is that of Iceland and I believe we must learn a series of simple, but significant lessons from them. The 2008 global financial crash hit Iceland hard- arguably more so than the UK, given the difference in GDP to population size. Their currency crashed, unemployment soared and their stock market was almost completely destroyed. But unlike the majority of western economies, the Icelandic government let all three of their major banks collapse and went after reckless bankers. Furthermore, Iceland’s people demonstrated their anger at this through literally taking to the streets; it was estimated that 3% of the population gathered in front of parliament to demand answers. Their government listened to their concerns and immediately set up a ‘Special Investigation Commission’ to reveal the truth behind the collapse. The SPI’s findings were similar to that of what we now know to be our own, but what was revealed that has not been in our own country, was that almost 100% of credit needed for large corporations and individuals to lend money was dependent upon investment banks. Over the next 6 years, the Icelandic parliament would restrict foreign capital investment and require credit supplied to households to have a 100% dependency rating- i.e., no ‘fake money’ was gambled with when insuring the public had the financial means to buy their own homes. I particularly admire this simple but insightful quote on their reaction to this finding, by a member of Iceland’s SPI, Gudrun Johnsen: “If you don’t know exactly what happened, you don’t know what type of behaviour you need to correct, and cultural change is really difficult. There was a benefit in the entire system going down. We know what failed and as a consequence we were able to clean the house pretty quickly”. In European banking there is simply an unwilling culture not to accept losses. Indeed our own government and the US government responded by literally printing money. It is evident that the Icelanders knew what they were dealing with and how it should be dealt with, as a result of a 3 point democratic process: the public spoke out on their concerns; the government reacted with realistic action; those accountable were justly investigated and were either brought to justice or proved otherwise. Considering these simple, democratic steps to reform, here’s what I believe the next generation of politicians and bankers must learn from the reaction of Iceland to the 2008 global financial crisis: we must make the financial system more accountable to its customers by demonstrating our own understanding of it as the public, through questioning and demanding regulation; all forms of credit should have a 100% dependency rating in times of recession to avoid long-run debt that is likely to affect the poorest in society; most of all, we must maximise the use of independent regulatory bodies and reviewing commissions to ensure no government bias is undertaken in such a publically dependable circumstance. Of course, it is without doubt that overall, as a generation we must learn that it is within the interest of the majority to bring those accused of the manipulation of hard-earned public finances to account and if necessary, to justice. It is only then we will begin to deter greed and instead promote clean methods of recovery in cases of financial unease, benefiting all who have been affected by it. Indeed there would be a good chance of such crises not occurring at all if the next generation of politicians and industry leaders were to properly act for the benefit of its people, by making these immoral practices illegal and instead providing humane and reliable methods of credit with the aim of improving fundamental living standards- an aim that would undoubtedly lead to a more stable, diverse and equal economy. Our generation is increasingly aware of the scale of the global issue that is illegal drug use. Those of us who are lucky enough to live in developed countries are educated on the matter through school, on the street and on social media. In short, we know that illegal drugs are a bad thing and should be taken seriously. Now it’s the latter point here that I want to talk about; if our generation is to genuinely take illegal drug use seriously, we must begin to think and act a whole lot more effectively, as the present attitude has failed. We currently see a culture that has declared a war on drugs by focusing on criminalising and punishing those involved and vigorously destroying supply chains, without considering the significant and dramatic economic, human and social costs this results in. It’s now time to start focusing on how we can truly help those caught up in the industry by seeking more regulatory and inclusive solutions. In 1971, US President Richard Nixon famously declared a ‘war on drugs’ with the objective of “stemming the tide of drug abuse” by vigorously fighting the supply of narcotics in the US and beyond. This attitude spread rapidly to the extent that today, world leaders still believe in it. In real terms, it has failed. Drug related criminal law enforcement costs the UK alone £3.3 billion a year with little return in terms of victim reform and safety. In the USA, an astonishing $51 billion is spent on the war on drugs every year, with 1.6 million annual arrests and 47,000 related deaths in 2014. Furthermore, 83% of those charged were merely done so for possession. These figures are worse than those of 1971, which clearly confirms that the war on drugs has worsened the crisis, not improved it. Continuously prioritising punishment over supporting drug victims is not good enough for the 21st century. As the next generation we must begin to impose regulation, improved health services and social inclusion programmes to tackle what is becoming an ever more human threat to both national and international society. Furthermore, it’s not just social and health problems that are the resulting factors of the failure of the war on drugs. In third-world areas such as West Africa, it is responsible for a huge proportion of the spread of blood-borne infections such as HIV and Hepatitis C, with a lack of the use of clean needles that are supported in better off countries by charitable schemes; third world countries simply do not have the funds or resources to do this. Why do they not have the relevant funds or resources? Mainly because incompetent governments are spending funds on maintaining criminal centres, using powerful herbicides to eradicate crops (that often cause land and water pollution and health problems), and missions to disrupt black markets. Globally, governments spend an estimated $100 billion a year on this. And still, 75% of the world’s population are without access to any pain-relieving alternatives. The fact that we are simply aware of these figures should be enough to convince leaders to take bold action on enacting more effective and humane policies. By investing $100 million in a war on drugs, law enforcement are effectively acting as a seed for funding an extensive criminal industry, now seeing estimated annual turnovers of $320 billion. So despite this excessive investment, the global drug trade is now almost completely controlled by violent criminal organisations- including terrorists- who have little or no concern for the consequences of their criminal actions. One could compare this to the current migrant smuggling crisis, which governments across the globe are now thankfully attempting to tackle. Well the illegal drug industry is an issue causing even more deaths than the smuggling crisis, with little prospect of improvement; while in many cases, the victims are not as vulnerable and desperate as the refugees and migrants, millions in West Africa and South America use such substances as their only means of pain relief or energy, often unaware of what they contain or their effects. It is evident that as a global society, we must begin to work towards a more effective and sustainable system of tackling this issue, through taking a more supportive approach to vulnerable victims and by putting the vast criminal organisations that run the industry, out of business. This could be done through investing in government regulation via doctors, pharmacists and in some cases, licensed retailers. Illegal drugs are literally worth more than their weight in gold. World leaders must recognize that using the criminal justice system as an effective deterrent has failed and therefore, access to information and social support should be put in its place. In turn, we must support this cause and demonstrate that it is in generation Y’s interest to publicly tackle this taboo issue, in order to achieve a less manipulative criminal justice system when it comes to the issue of drugs. Obviously, this is one of those imperfect issues that we’re realistically never going to truly solve, but we can at least take gradual steps such as diverting funds used in criminal justice to boosting information services and access to health clinics in deprived communities. Very interesting: Jeremy Corbyn's right hand man, John McDonell is currently working on an alternative concept of using co-operatives as a better means of redistributing wealth; it's shocking to read that less than half of our national income goes to workers in the 21st century. I could not agree more with this view of creating a more equal and diverse economic society, through encouraging greater creativity and innovation by such simple methods. The concept of business is an everyday subject for all of us. You may not be a dedicated follower of it, but I’m sure most of us realize that it is a key part of the capitalist society in which we live in. As a result, we probably each have a stereotypical view towards business and the kind of people that are involved in it. Day in, day out we are subject to stories of large, multi-national companies such as Google and Starbucks, causing fury amongst the working public for not paying their fair share in tax. We hear about government deals with ‘important clients’ such as China or Saudi Arabia’s oil market. It all seems a little bit distant and precarious to the majority of us who are working in and around our local communities to provide for our families. And rightly so. Since the catalyst of modern business- the industrial revolution- the British public have become ever more so aware of a ‘top 1%’, ‘an elite’, whatever you may like to label it as, who we presume are the front-runners of the capitalist world, exploiting the free market for the benefit of a few and to gain political influence. However, I would argue over the past 5 decades or so, British business has been exposing a secret up its sleeve, a revolutionary element of positive business, through the new found concept of entrepreneurship and social business. What do I mean by ‘social business? I mean exploring ways in which we can use business as a force for good across society, through small step by step solutions to social problems, both nationwide and globally. In the 21st century we live at the peaking point of capitalist society; capitalist society enables a free market to exist with the supposed objective of enabling the individual to make their own way in life be it through employment by a company that grants them civil rights and a ‘fair’ wage, or through setting up their own business with limited red tape and government intervention. Now let’s be realistic, it’s probably a far off dream for socialists that their image of a perfect society is going to be politically established any time soon. We live in a very well established society run on enterprise and individuals rights. But that does not mean we cannot use the concept of socialism to influence capitalism for the better. This first occurred to me last summer, when I started to read about a small but influential group of entrepreneurs who are saying no to the normal way of doing things, and are consequentially doing a huge amount for social inclusion and awareness in society. Such examples include: Reel Gardening founder, Claire Reid who established a water saving solution to growing vegetables in some of the continent’s most water-deprived areas at the age of just 16 (http://www.reelgardening.co.za/), Innocent Drinks founder, Richard Reed who in 2004 set up the Innocent foundation (http://www.innocentfoundation.org/) that has given over £3m worth of profits to sustainable farming projects across 3rd world countries and Sam Branson and Johnny Webb, founders of Sundog Pictures (http://sundogpictures.co.uk/), who produce documentaries and films by using the accessibility of the digital world to tell important social stories around the globe to those who may otherwise not be educated on the matter. These individuals are perfect examples of how socialism in business can result in an increase in awareness of global problems and the ways in which we can use established business methods to improve them. Specific to Britain, there are many sectors of society where business could act as a force for good over making profits for their shareholders; with continuously competitive household costs, the housing market should attract the exploration of 21st century green methods of daily living, such as renewable energy production and water saving; with continuous logistical problems in our health service, entrepreneurs could work a long side relevant professionals to look for small but mighty solutions to over-crowding and data accessibility. These are just a couple of examples of where social awareness combined with innovative thinking could begin to lead to a more socially inclusive society though the positive integration of the business sector and other sectors affecting our daily lives. In 2014, a record-breaking 581,000 businesses were set up in the UK alone; I believe that our generation should take maximum advantage of the ever increasing accessibility to start-up funding and research, to say no to business as usual and instead begin to investigate how we can use this advantage to look for socially sustainable and inclusive solutions to problems that often lead to an unfair disadvantage felt by certain areas in a country or certain individuals who may have, over time, been manipulated for the benefit of the few. It’s about time countries such as the UK started to recognize business’ primary aim as that of improving the quality of our lives through looking for innovative solutions, instead of manipulating problems for the benefit of the individual. If we are to act as an influential democratic force in the world, I believe it is up to Generation Y to work towards a socialist attitude towards business, by embracing its past mistakes as learning points and putting into action a more diverse range of business methodology that will enable us to look for these solutions. To quote one of the greatest entrepreneurial minds of our time, Virgin Group founder Richard Branson, “Entrepreneurship is not about looking for a problem, it’s about finding a solution and enacting it”…”so let’s work together and screw business as usual”. By embracing this attitude, I believe there is a strong case for a socialist business environment in Britain and that we shouldn’t be afraid of exploiting it. I am very pleased to announce that I am now a certified member of the Student Voices' blog network (http://www.studentvoices.co.uk/p/blog-network_15.html). Check out the site and fellow bloggers if you haven't done so before. It offers a really good variety of news, comment and debate on current affairs and general social and political issues, relevant to our generation.